Please note, a section of Animal Adventure, which includes our Splash Zone, is currently closed for renovation. Animal Adventure, our children's zoo, allows children the chance to immerse themselves in the sights, sounds, smells and experiences of life in the animal kingdom. Start your adventure at Treetop Village and meet the coatis who make their lives among the leaves. Kids will have the freedom to climb, swing and visit the lookout towers for a treetop view of the world. Our Touch Zone lets children get hands on to groom and feed our goats and sheep as well as meet our donkeys, llamas and kune-kune pigs. Find out more about some of the inhabitants of Animal Adventure! Book tickets online for great savings! Select Fast Track tickets to jump the queue. Children love animals. Virtually without exception. They always have done and they always will do. So, how is it, because of the actions of the adults that those children grow into, that over a quarter of the world’s wildlife is threatened with extinction? Somewhere along the line so many children lose that fascination, that sense of magic that comes from being around and among animals. With the increasingly urban lives that so many children lead, it’s not so much a lack of desire to be with animals, though, as a lack of opportunity. 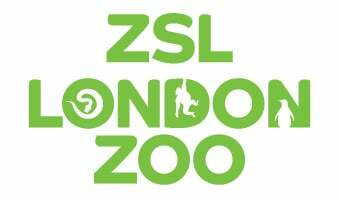 In 2009 ZSL London Zoo brought that opportunity back. Animal Adventure, our new children’s zoo, opened to provide thousands upon thousands of children with the chance to immerse themselves in the sights, sounds, smells and experiences of life in the animal kingdom. Underground tunnels, treehouses, watery worlds and airy spaces, secretive aardvarks and curious coatis: all these and more make up a natural playground that fires children’s imaginations like never before. It’s a dynamic environment for a dynamic generation. Book your tickets now for a wild day out! N.B. ZSL reserves the right to evict any visitor that breaks these rules. All Keeping staff are trained in best practice for section management. If soap is unavailable in dispenser please make a member of ZSL staff aware, and use another available facility. Lost Children's Post based at the Clock Tower (ZSL London Zoo), Estates Office (ZSL Whipsnade Zoo). First Aid Posts also at both of these locations. Waterpour Safety Surface BS EN 1176 (ZSL London Zoo). All London Zoo play equipment is for children ages between 3 and 11 years. Supervision in accordance with the recommended ratio is an expectation.